The increase in European wasp activity isn’t a surprise for the ACT government who saw a spike in reports in early 2017. However, in December and early January, 308 European wasp nests were reported – a substantial increase from just 15 being reported for the same period last year. Jim Bariesheff of CoreEnviro Solutions believed the increase in wasps was due to a milder, drier winter, which allowed European wasp queens to survive, and therefore enabled them to establish their nests much earlier than previous years. 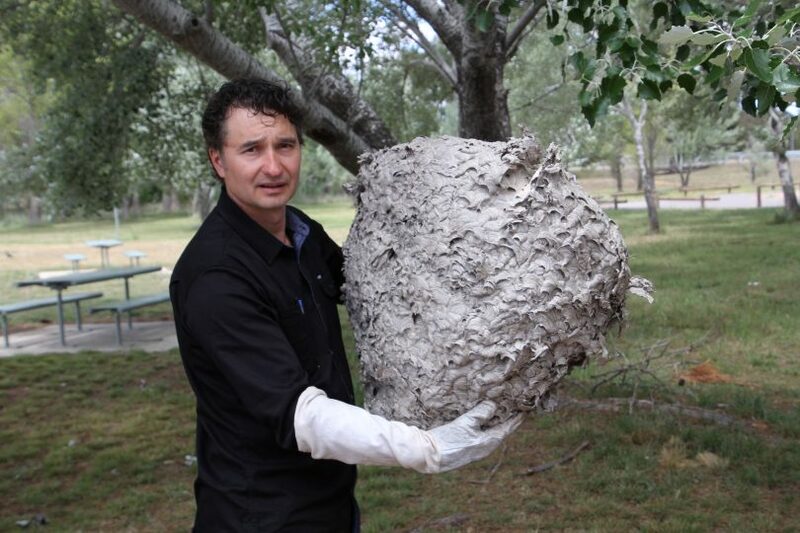 For pest managers in ACT, this is potentially good news, as more pests means more work, in this case, in the form of wasp nest removal/treatment. If you’re doing a routine pest inspection, it might pay to enquire whether homeowners have noticed increased wasp activity. One ACT homeowner reported scratching sounds in her roof and requested help with her bird problem, only for the pest manager to find a large European wasp nest in the wall cavity. 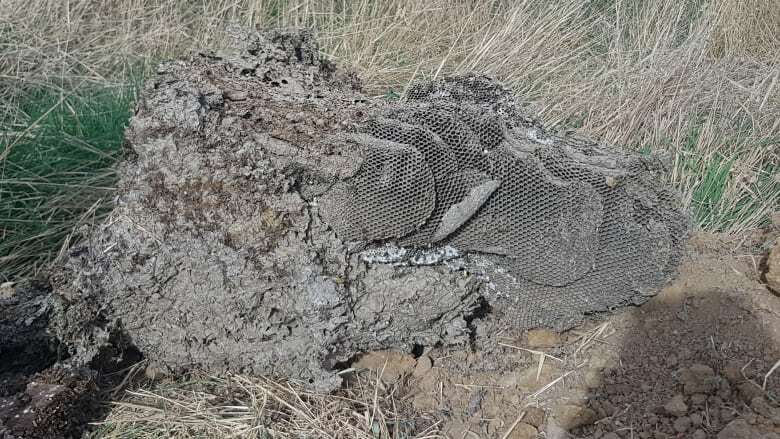 Although around 90% of European wasp nests are thought to be located underground, accessed by a high traffic entry hole, nests are more commonly reported indoors in the case of residential properties. CoreEnviro Solutions’ 2017 report showed that 62% of nests reported were located in wall cavities followed by 17% located in the roof void and 12% in the ground. Although powder treatments are perhaps the most common control methods, a number of trials are ongoing with wasp baits in both Australia and New Zealand. 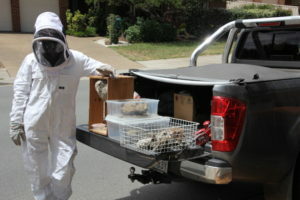 In April 2017, the ACT Government and CoreEnviro Solutions undertook an area-wide suppression of Vespula germanica after high levels of European wasp activity were having a significant negative impact on the liveability of a particular neighbourhood, with a number of complaints to the eWasp hotline. 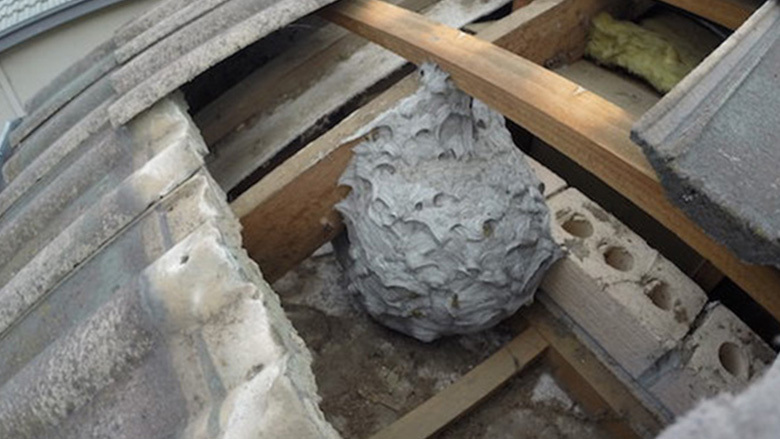 Using freshly cooked chicken, European wasps were lured to two sites in an infested apartment building. Small experimental bait matrices were placed around the apartment building to create an interception boundary between presumed locations of the European wasp nests and the apartment complex. The wasps showed strong preference towards the bait matrix, with the result that foraging intensity of European wasps was significantly reduced 24 hours afterwards the bait application. 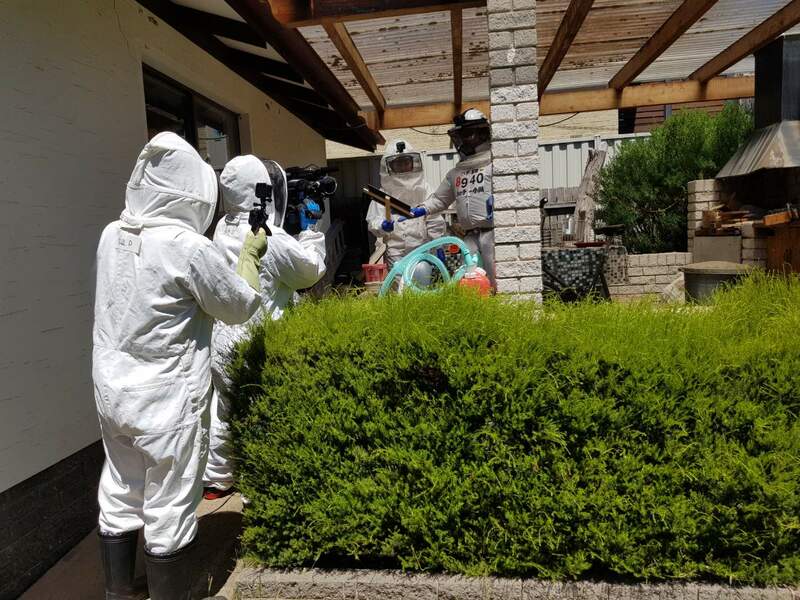 CoreEnviro Solutions is contracted by the ACT Government to maintain the European Wasp Hotline (eWasp), an advice and reporting service that CoreEnviro Solutions has extended nationwide. CoreEnviro Solutions is seeking pest control companies to list on the eWasp website, to not only help in the fight against European wasps but to assist pest control companies in promoting their services.